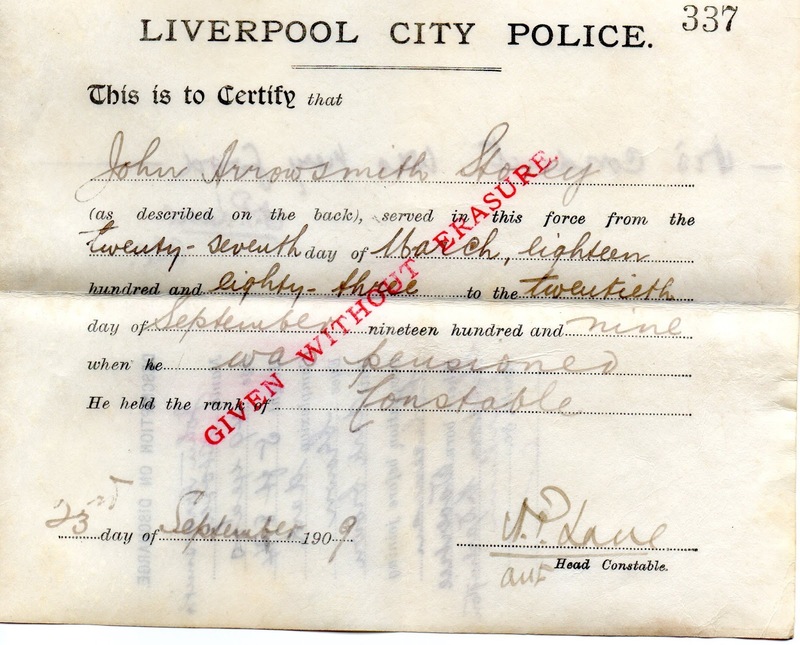 “My grandfather was John Arrowsmith Storey, born 1860 in Shildon, County Durham. 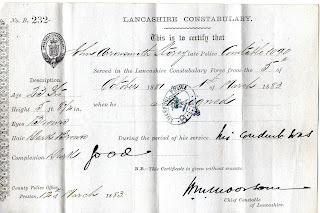 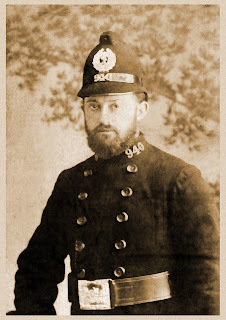 He was a police constable (1090) with the Lancashire Constabulary between 1881 and 1883. 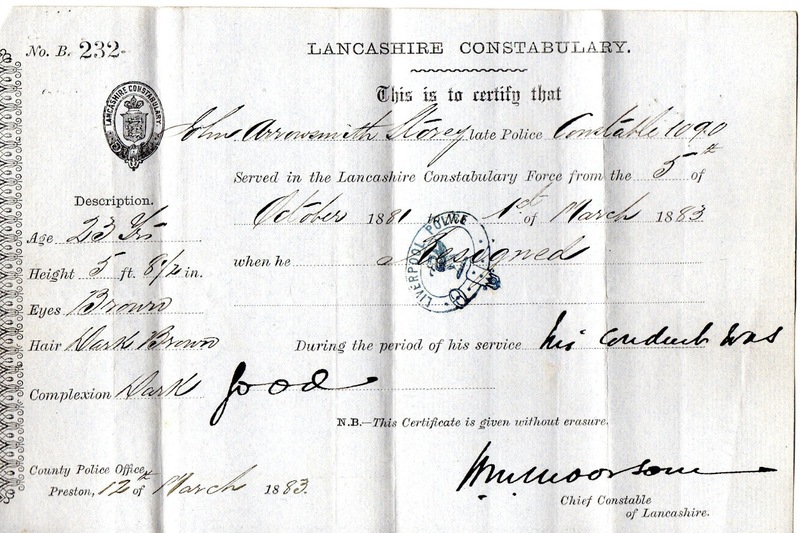 At the time of his marriage at Holy Trinity, Wavertree in March 1883, his profession was a tram conductor. 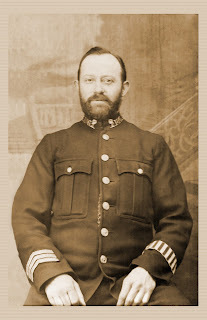 However, he then served with the Liverpool constabulary from 1883 to 1909, when he retired. Perhaps, the tram conductor role was to fill in between the different police forces. 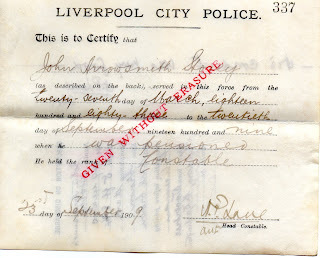 John died in 1922 in Liverpool and is buried in Allerton cemetery”. 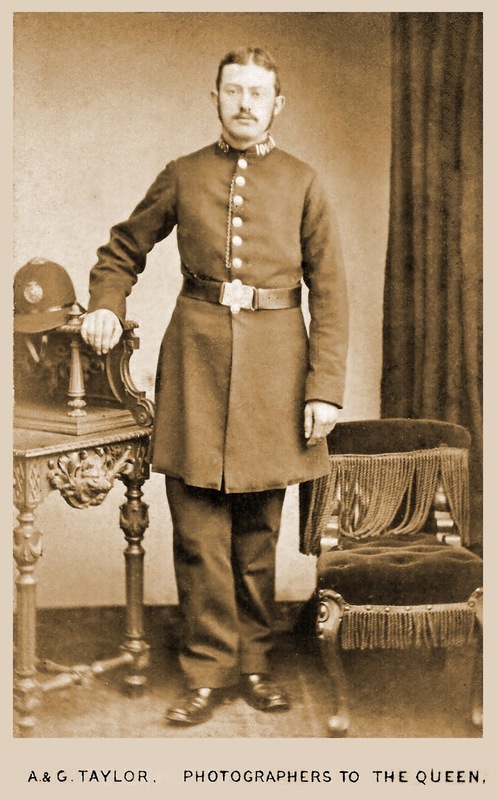 For anyone with an interest in 'Liverpool City Police' a vist to the website is a must, the site contains hundreds of photographs and articles written by retired police offices and others to make up a web resource and virtual museum outlining the life and times of Liverpool City Police from 1836 onwards. Please click on the link below.